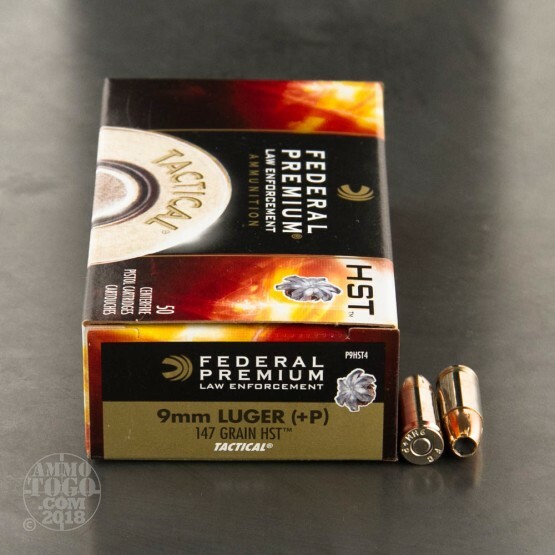 This package contains 50 rounds of Federal LE Tactical 9mm Luger (also known as 9x19 Parabellum) ammunition. Each round is loaded with a 147 grain HST hollow point projectile. 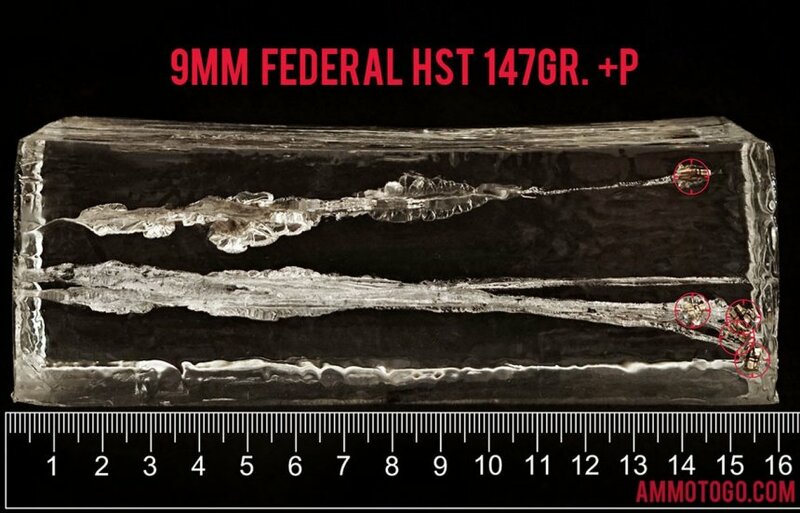 These specially designed HST hollow points will not plug, even when passing through tough barriers. The result is impressive weight retention and terminal expansion, perfect for self-defense situations. 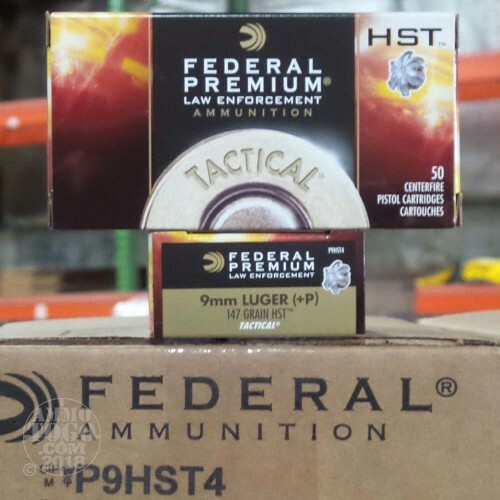 This is the next generation in high performance personal protection ammunition. Featuring a round nose profile and nickel-plated brass casings, these 9mm Luger rounds deliver smooth, feeding, function and extraction. When paired with Federal Premium’s unique clean-burning primers, you get the ultimate in function and reliability. 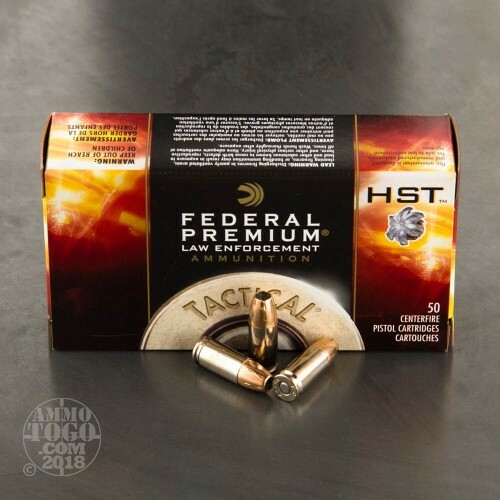 This +P overpressure ammunition is loaded to a higher internal pressure than standard 9mm rounds to produce a higher muzzle velocity and increased stopping power. Each round delivers a muzzle velocity of 1050 feet per second and a muzzle energy of 360 foot pounds. 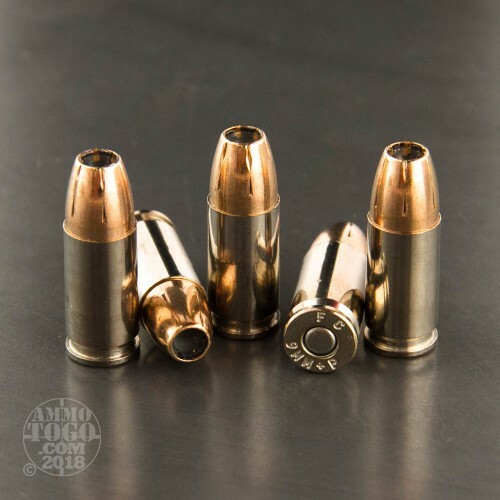 Expansion Diameter Compared to All 9mm Luger (9x19) Ammo Tested MIN 0.32" MEDIAN 0.50" THIS AMMO 0.63" U.S. dime MAX 0.90"
Penetration Depth Compared to 9mm Luger (9x19) Tested 0" 10" 20" 30" MIN 5.6" MEDIAN 17.7" THIS AMMO 15.6" MAX 47.5"